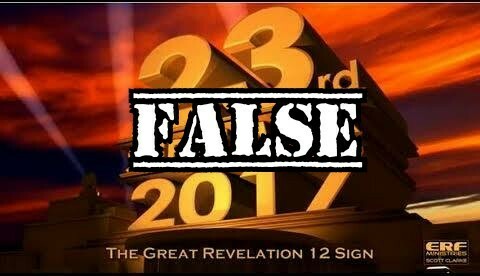 Last week I had shown a few people in a September 23rd “rapture” group that Revelation 12:1 had happened in the past according to the Greek. One of the guys named Ken actually said if he was wrong then he would have to reevaluate everything. I thought this was the first step for him when looking at Scripture honestly and setting aside presuppositions. Then a few days had passed and he posted on the page that he awoke that morning and was questioning what he thought was true about this “future sign”. He commented that he wondered if it was all just a “fairy tale” and that he needed some support for how he was feeling. A few hours later the post was deleted. With all that said, this is how you feel when something doesn’t settle right in your spirit. You start to question if its even true. This guy looked at the original Greek and knew that something was wrong when John used the word for “seen” in a AIP mood and tense. It was in the past. 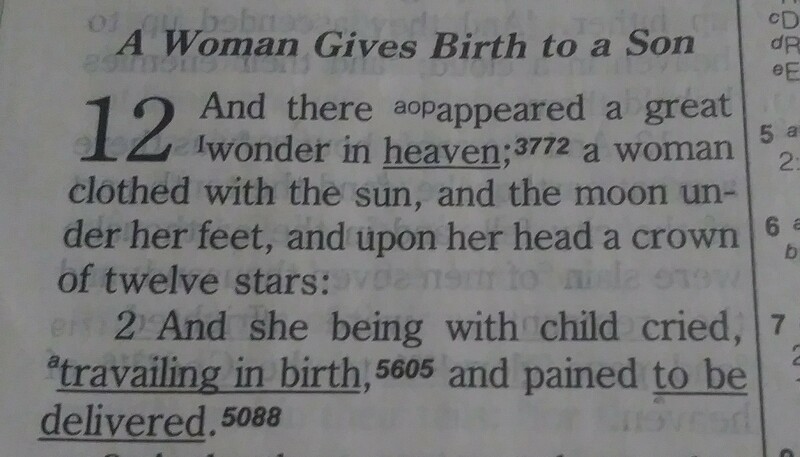 Revelation 12:1 was the birth of Jesus And John wrote it that way. I pray that some people will trust Scripture and trust that Gods word is true. 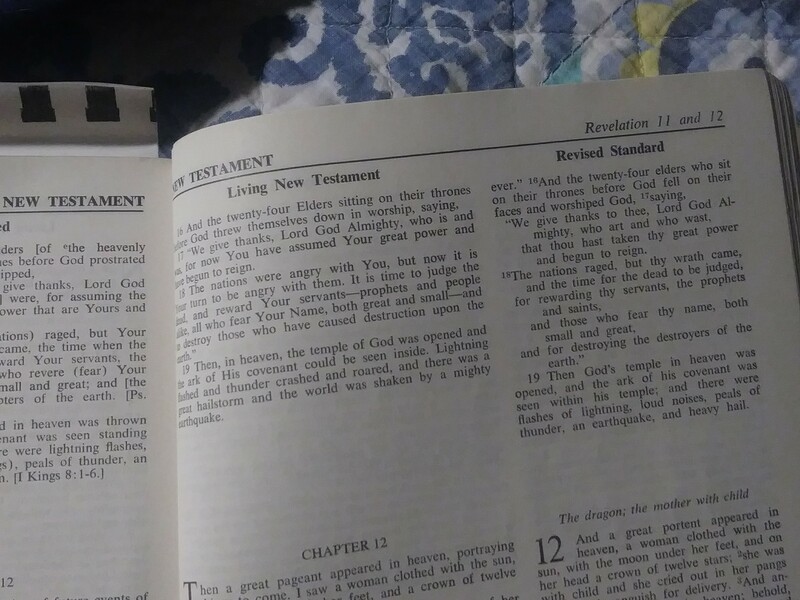 You can read for yourself in a Greek Dictionary of Terms or in my Hebrew\Greek Key Word Study Bible on what a Aortist Indicative Passive is. Don’t take my word for it. “A simple act occurring in past time” “and denotes past time”. Its simple…how hard is that to understand. 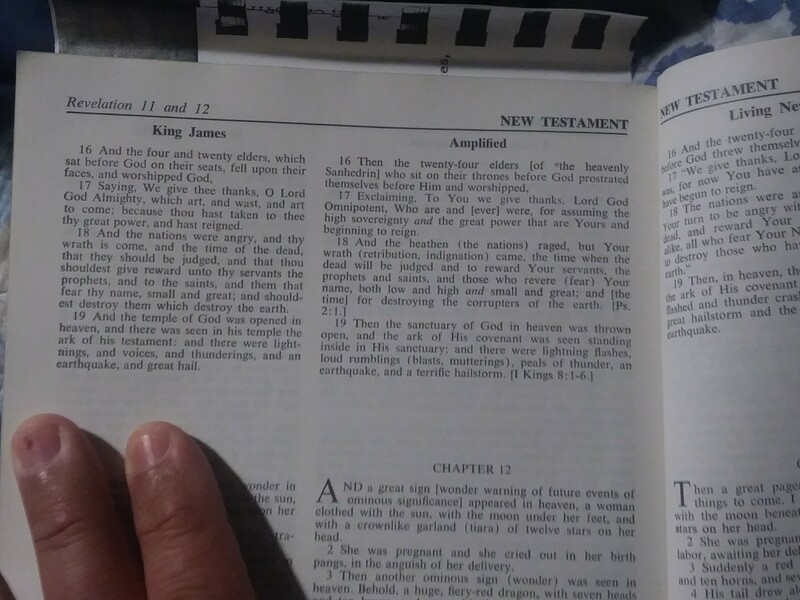 Now look at the text from my Key Word Study Bible, my Polyglot Greek Bible and the original Tectus Receptus Bible I have. Now look at a parallel Bible and see where this sort of confusion comes from. Now I thought I would look at the Hebrew translations of what this word is when translated from the Greek in Revelation 12:1. The root word is râ’âh (raw-aw)and means to perceive or something seen. 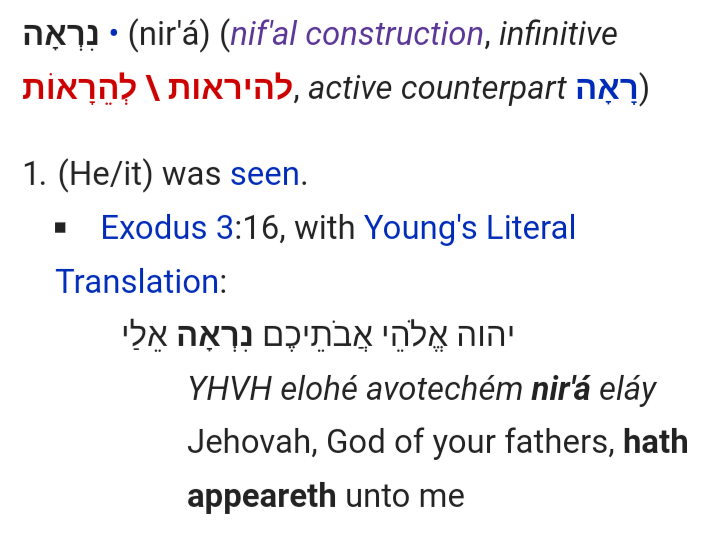 In one translation it is נִרְאָה (nir’á) and in another translation it has the Tav before the Hey, נִרְאתה. 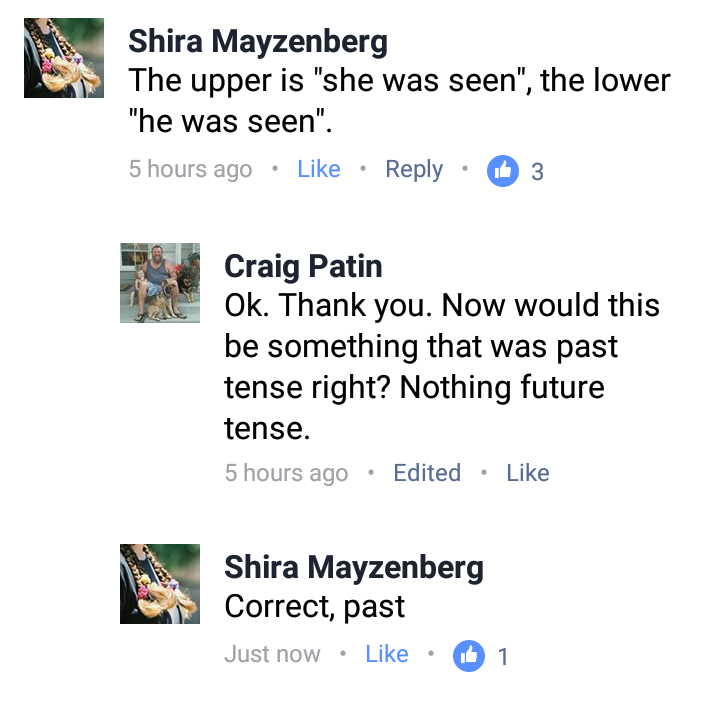 Now I asked someone fluent in Hebrew who works at The Jerusalem Post about both of these words and what they mean and of they were taking about a future time or past tense. She had absolutely no clue as to where I pulled these words from and she told me this. “The upper (picture) is “she was seen”, the lower “he was seen”.” Here are the variations in questions. For some reason one translation in Hebrew gives this word the feminine gender and the other in a masculine gender. I’m not sure as to why they are different, but they are but they both mean the same thing. Something else that is interesting is that both of these words are used in the Passive form. Yep, that means that what John saw or was SEEN as far as this sign goes prior to him writing it, was seen in the not so distant past in John’s day. 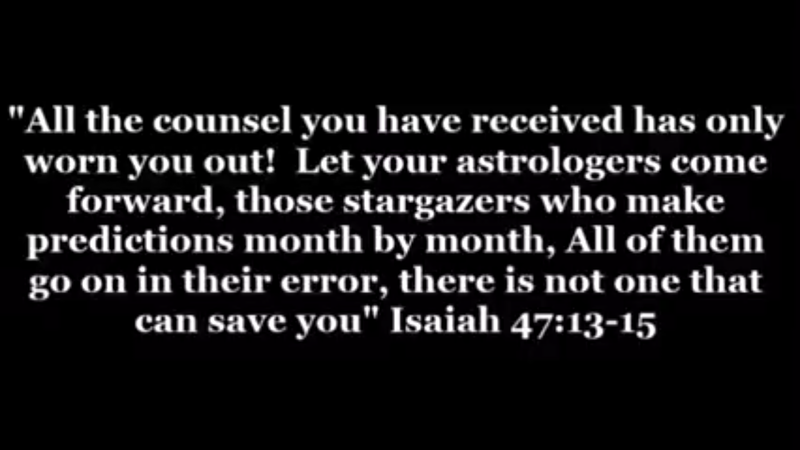 We have both the Greek and the Hebrew in agreement here as far as this sign in Revelation being something of the past. Do we need more witnesses or is God breathed scripture enough for you? So please…someone tell me where this sign is for a future time using the way the Greek (and Hebrew for that matter) was originally written. It’s not there. This represents the birth of Jesus. So those who are promoting this as a future sign, go ahead and stop, repent and get back into scripture…exclusively.